"Home on the Range" is a classic western folk song sometimes called the "unofficial anthem" of the American West. The lyrics were originally written by Dr. Brewster M. Higley of Smith County, Kansas, in a poem entitled "My Western Home" in 1872. In 1947, it became the state song of the U.S. state of Kansas. In 2010, members of the Western Writers of America chose it as one of the Top 100 western songs of all time. Kidsongs Sing-Alongs videos and CDs have been a big hit with kids and parents. These new book/CD packs now give kids the pleasure of singing and playing along with their favorite songs. The books include melody/lyric/chord arrangements that can be played on any C instrument. The books also feature a separate lyrics section so kids can practice their reading skills while reading the lyrics and following along with the CD. The CDs include full-performances of each song by kids. A collection for group singing for all occasions. The 83 songs in this collection can be sung by any quartet of four part chorus, male or mixed. The melody can be found in the upper part except where it is indicate. Responsible for such popular series as The First Book of Solos, The Second Books of Solos and Easy Songs for Beginning Singers, Joan Frey Boytim is a widely recognized expert in repertoire for the young voice. Appropriate for contest solos, this collection includes a wide variety of traditional art songs and folk songs with limited ranges for late-elementary to mid-teen singers. 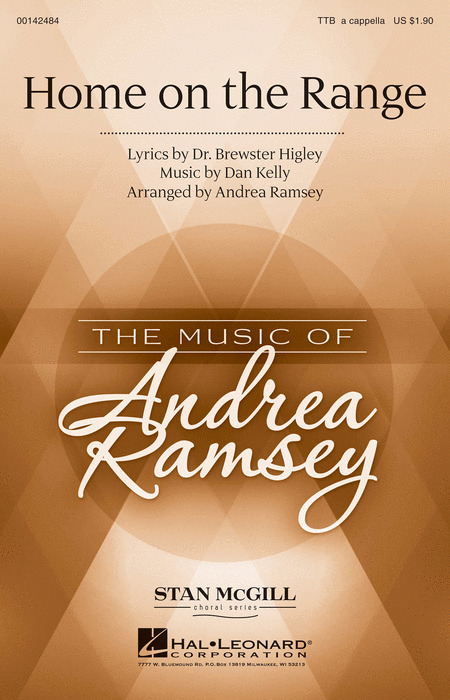 The book includes intermediate-level piano arrangements, and the companion CD features professionally recorded accompaniments for performance or practice. Considered the anthem of the American West, this a cappella arrangement will show off your choirs tuning and blend, with unison lines blossoming into full harmonies for an accessible and impressive choral showcase.